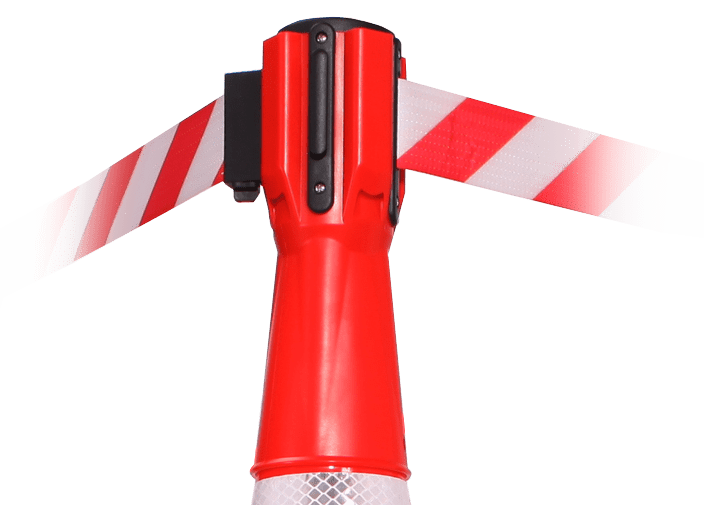 ConePro is a light, portable retracting belt unit that fits onto most types of traffic cones and is more effective at restricting access than cones alone. All ConePro models feature a heavy duty woven nylon belt that wont fray or break even in the toughest conditions. Featuring 10' or 12' belt lengths the ConePro 500 is designed for setting up short to medium length barriers or to create square, U, triangle, or other shaped cordons. With six belt lengths from 15' to 40' the 600 model is ideal for creating long run barriers where the extra length belt reduces the number of units required saving on purchase cost and set up time. 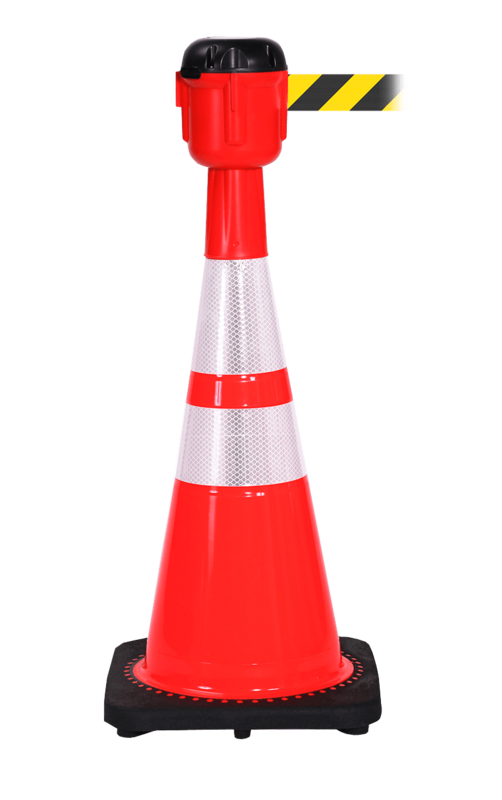 Our traffic cones are 28" high, heavy walled and having weighted bases are ideal for use with ConePro barriers. 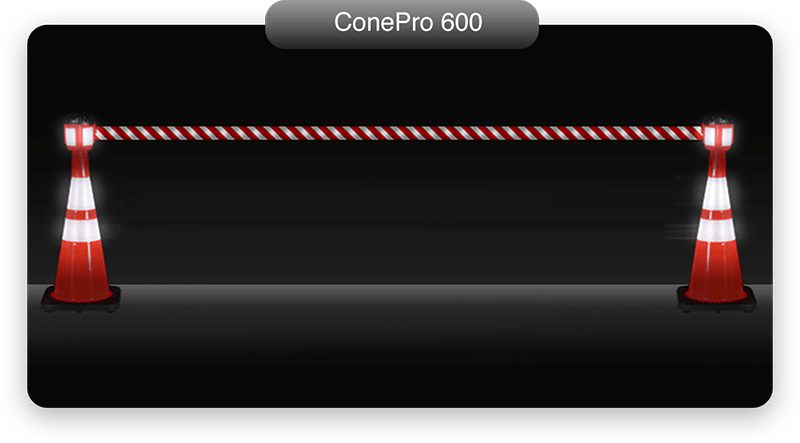 For the ConePro 500 the cone can be used alone, for the ConePro 600 we recommend a cone weight for additional stability. Alternatively cones can be double stacked. 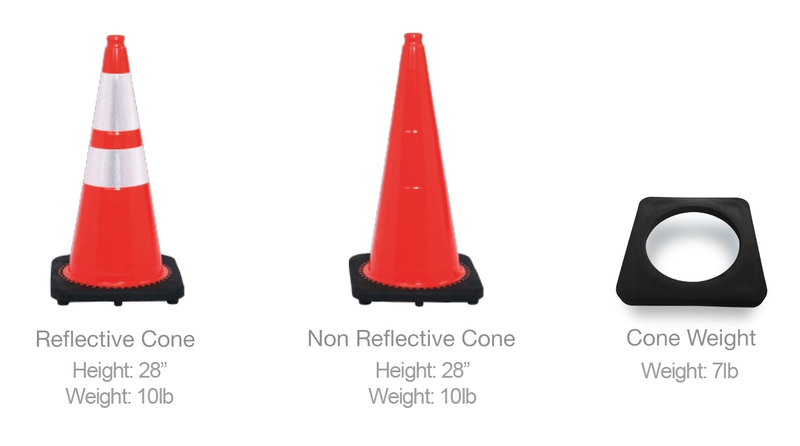 Cones are available with an optional reflective stripe. 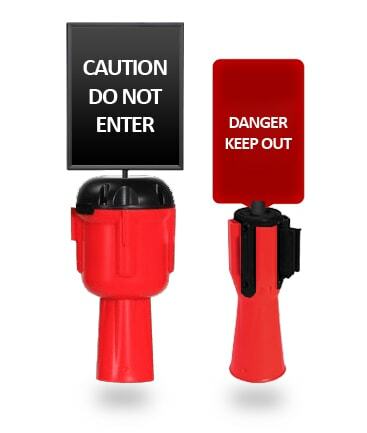 Take a look at our Safety Cones blog post for some more useful information on products. Each ConePro unit has 4-way connectivity, an out going belt, and 3 receiver clips to accept in coming belts. This enables belts to be attached from any angle and allows any shape of cordon to be created. The ConePro belts are made from heavy gauge woven nylon which won't fray or pucker and will last the life of the unit. 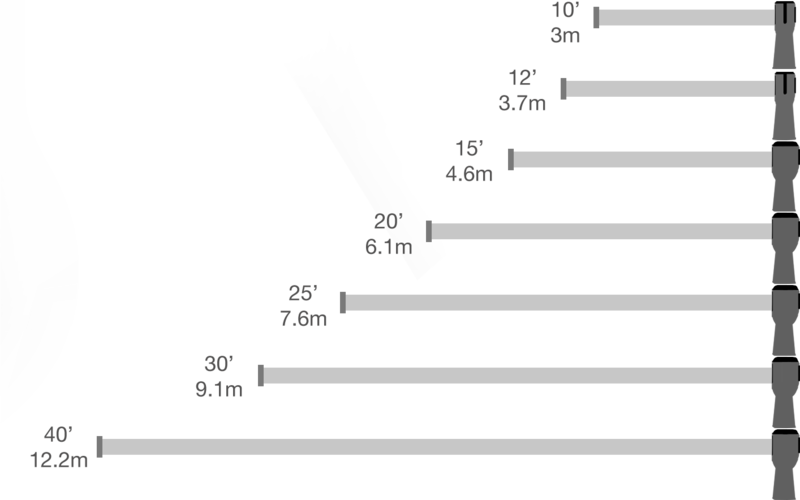 Length options range from 10' to 40', the longest available in a cone mounter barrier. Long belt lengths reduce the number of cones required saving set up time and purchase cost. 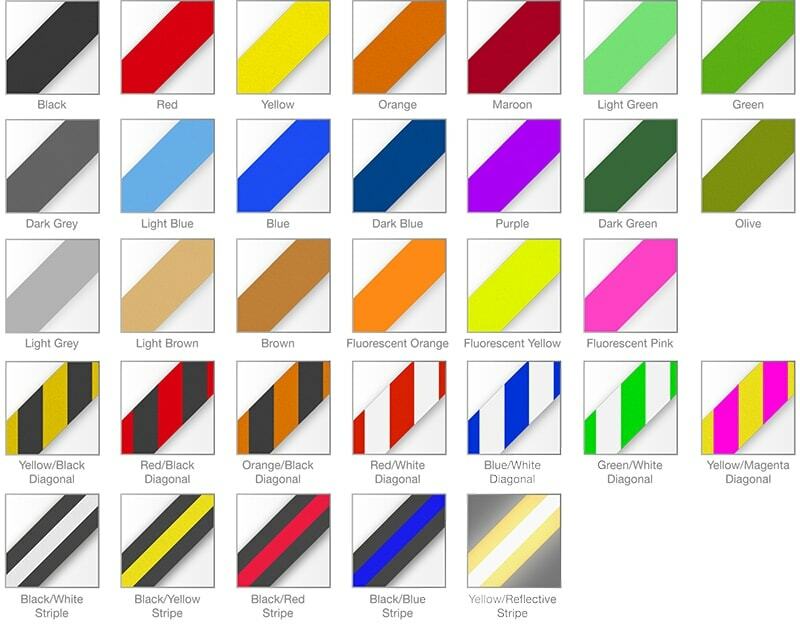 ConePro belts are available in over 30 colors and 15 stock safety messages. 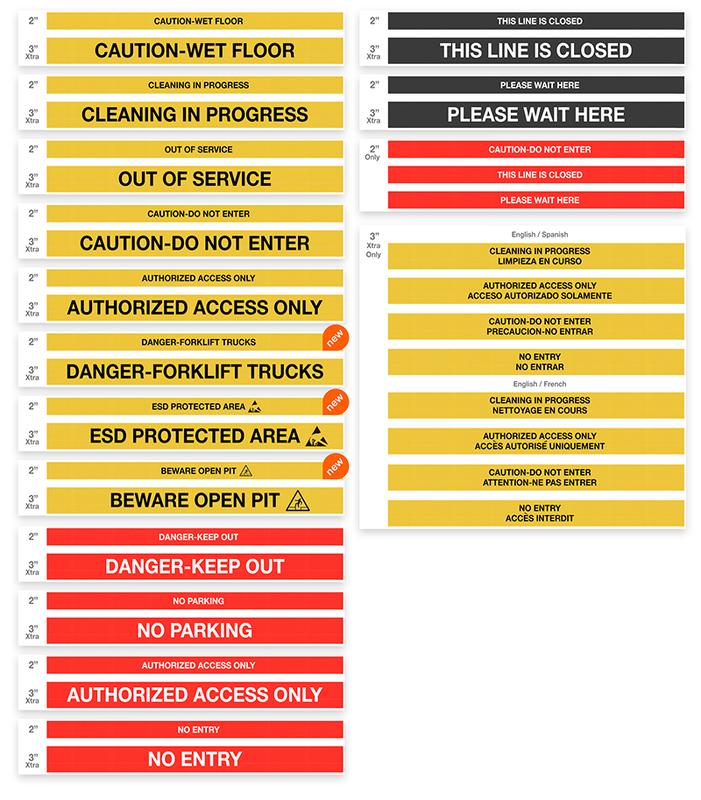 ConePro can accept our full range of post top signage to guide and inform pedestrians of access restrictions, directional information or safety notices. ConePro can be supplied with reflective panels that give "bounce-back" reflectivity from a light source for improved low light visibility. 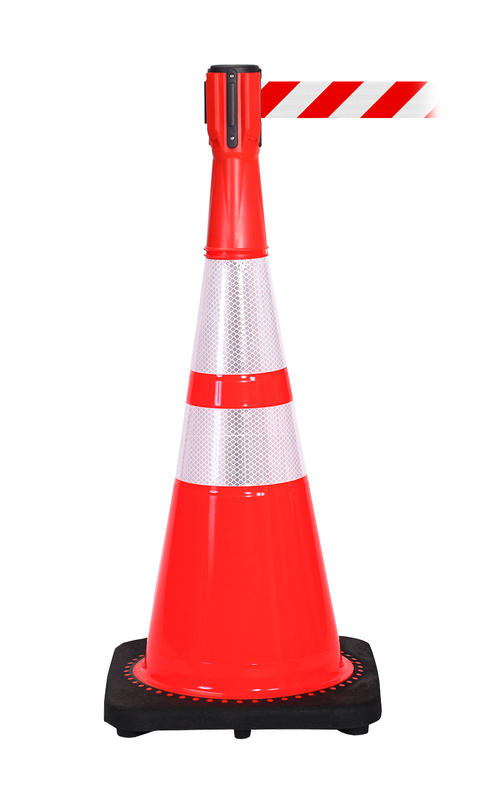 We recommend combining this option with our reflective traffic cones. Belt Width: 2" Belt Width: 2"